Named after the famous Judoka “Masahiko Kimura”, this submission goes by numerous different names, in catch wrestling it’s called the double wristlock, in freestyle wrestling it’s known as a chicken wing and in Judo it is traditionally known as a gyaku ude-garami, but all eventually tap to the same finish and shoulder pressure that this submission creates. If you would like to learn more about Kimura’s and how you can implement them into your game, there are loads of instructionals available for you to purchase. Plus if you enter the code ATBK10 you can save 10% off your purchase! Check out some of these great Kimura DVDs. The shoulder joint submission has been seen dating back to as early as 1520, where they were found in old shoot fighting manuals in Germany. It could also be traced back to an earlier period, where in Cambodia, depictions from the 12th Century have been found in the Khmer Temple. However, back in catch wrestling the invention of the double wrist lock submission is often credited to Lorgo “Tony” Morelli, who apparently invented the submission during the 1920s. It was named this because in order to finish the submission you must grab your opponent’s wrist and eventually grab your own wrist to isolate your opponent’s shoulder and elbow. The position has also been seen in freestyle wrestling, where one of the most decorated athlete’s of the sport Robin Reed used it to secure Gold in the 1924 Summer Olympics in Paris. Here he would us it with a pin combination to win several matches. In Judo the position is known as gyaku ude-garami, which means reverse arm entanglement. It was believed that Mitsuyo “Count Koma” Maeda and Masahiko Kimura trained amongst numerous catch wrestlers, where they were shown the move. They then took this submission back to Japan, where it was given it’s name. 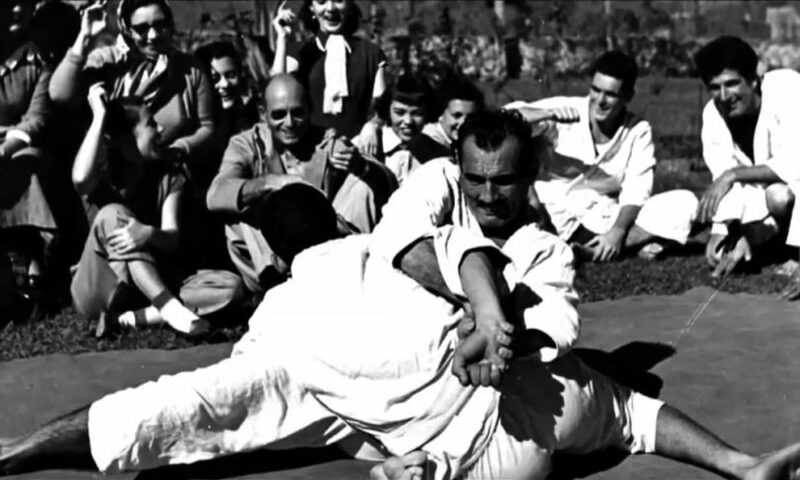 In Brazilian Jiu-Jitsu the submission is known as the Kimura after Masahiko Kimura used the submission to win a grappling match with Helio Gracie in Brazil. Born in Kutamoto Japan, on 10th September, 1917, Masahiko Kimura began his life of Judo at the tender age of just 9 years old. After just 6 years at the age of 15 he earned his 4th Dan on his Black Belt after defeating six opponents who were all 3rd and 4th Dan Black Belts. By the time Masahiko was 18 he became the youngest person ever godan, a 5th degree Judo Black Belt after fightings and winning against eight consecutive opponents at the Kodokan, the headquarters of the international Judo governing body. Trained by all-star Japanese Judo Champion Tatsukuma “The Demon” Ushijima, Kimura’s incredible success can be partially attributed to his incredible, almost fanatical training regime. During his entire Judo career, it is reported that Kimura, only lost four Judo matches in his lifetime, all of which occurred in 1935. After those loses, Kimura was reportedly going to give up Judo, but after some encouragement from friends and family, he decided to stay and began training consistently again. Kimura was widely known, not for his shoulder lock submissions, but his osoto gari (large outer reap) throw, where he would regularly be practicing his techniques against a tree. During a daily training session with the Tokyo Police, during randori numerous people suffered concussions and lost consciousness due to the power of Kimura’s osoto gari. After that training session, Kimura was asked not to use the osoto gari during training randori. At the age of 30, Kimura was to be awarded his 7th dan, however that rank was reprimanded after disputes with the Judo governing body over becoming a professional wrestler, refusing to return to the All-Japan Judo Championship and awarding his own dan ranks to judo practitioners in Brazil. In 1949, after competing in a professional wrestling competition in Hawaii. Masahiko Kimura travelled to Brazil along with his troupe 6th Dan Black Belt Toshio Yamaguchi and 5th Dan Judoka Yukio Kato, by invitation from São Paulo Shimbun newspaper writer Ryo Mizuno. The invitation had been the brain child of resident Judoka Takeo Tano, who had a hostile rivalry with brothers Carlos and Helio Gracie. In 1937 Yano had competed against Helio in a jiu-jitsu (or Judo as they still called it in Brazil) match, where, despite being dominant throughout the entire match, ended up drawing the match with Helio, due to the clock running out. After deeming his draw to be unfair, he asked for numerous rematches against Helio over the years, but nothing was ever answered. This may have been due to the fact he was training and working at catch wrestling events with George Gracie, who at the time wasn’t considered to be very friendly with Carlos or Helio. Expecting Kimura and his group would attract the attention of the Gracie family, Yano and his partner Yasuichi Ono helped Mizuno bring him over from Hawaii. When Kimura, Yamaguchi and Kato arrived in Sao Paulo, Kimura was awarded with the fake title “World Jiu-Jitsu Champion” by the Brazilian press, this was used to draw the attention of the Gracie family. They were hailed as the three legitimate black belt Judoka’s from Japan and denounced the Gracie brothers black belts as fake. As expected, a challenge was issued by Helio Gracie, however the challenge was not issued to fight himself, but to fight one of his student’s Pedro Hemeterio, to first prove that he was a true champion. In response Kimura issued a counter-challenge for him to fight Yukio Kato, the lowest dan ranked black belt of the group, who was most similar size to Helio, both weighing around 154lbs (70kgs). After some time and rule negotiations, Helio accepted the challenge and would fight Kato in a Gracie challenge match. This bout was advertised as a professional vs an amateur matched since Kato was inexperienced in Challenge matches, while Helio had already fought in several. On September 6th, 1951 Kato and Helio fought at Maracanã Stadium in Rio de Janeiro. Kato dominated the three rounds, thanks to his superior take downs and throws, however the mats were too soft to have an real impact on Helio, so Helio was able to ride the match out as Kato’s Uke until time ran out, resulting in a draw. Since the match was unsatisfying for both competitors and crowed alike, Kato offered Gracie a rematch, this time with no time limit. On September 29th, 1951 at the Ginásio do Ibirapuera in São Paulo, Kato would again fight Helio in another challenge match. Again kato would dominate Gracie with his far superior throwing techniques, including tossing Helio out of the ring, the match continued. After 30 minutes of fighting, Kato eventually decided that newaza or ground work would be the best way of finishing Helio. While Kato ended up attempted to choke Helio with a juji-jime, the two became entangled in the ring ropes. While expecting the referee to come and reset them in their position in the centre of the ring, Kato loosened the choke, which Helio used as an opportunity to counter with a cross collar choke of his own, rendering Kato unconscious. This was partially because Kato was unable to escape due to being entangled in the ring ropes. While the Brazilian newspapers immediately questions to the legitimacy of Helio’s win, and with the daily tabloid Diario de Noticias pointing out the illegality of his action, the loss still affected the group’s reputation among the Japanese population in Brazil, who now saw these three Judoka’s as phonies. To add insult to injury, the Gracie Jiu-Jitsu students paraded a coffin through the streets of Rio De Janerio, symbolising Kato’s timely defeat. Next Helio Gracie was to challenge Toshia Yamaguchi, the 2nd highest ranked member of Kimura’s group. While Yamaguchi accepted the challenge, it would be Kimura who would volunteer himself instead. Expectation for Kimura was high, so high that the Japanese embassy warned Kimura, that if he did not defeat Helio in the match, then he would not be welcomed back to Japan. During this time Helio decided to train at Gracie Academy in Rio, while Kimura decided to train at Yasuichi and Naoichi Ono’s academy. However, the how thing almost came to ahead when a Brazilian newspaper published a story claiming that Kimura was not a Judoka born in Japan, but a fake that was of Japanese-Peruvian decent. Kimura was forced to present his passport to the Japanese embassy to prove his nationality and for the newspaper to apologise for the story. Ahead of the match came the rules meeting, which were contested under what Helio called the Jiu-Jitsu rule. The two would both fight wearing kimonos, with all grappling moves allowed, from a mixture of wrestling to Judo, with the winner being decided by Submission or TKO. The match itself would be for three ten minute rounds, which Kimura was not accustomed too, since he had been working the Judo and Professional Wrestling circuit, he was used to those time frames. There was no weigh in before the match, so the exact weight of each fighter at the time was unknown. but it was known that while Kimura was much shorter than Gracie, he was the heavier of the two, outweighing his opponent by around 20 to 30 lbs. The match between Kimura and Gracie was to be held in the same venue as the first fight against Kato, the 20,000 seater arena, the Maracanã Stadium in Rio de Janeiro. After much newspaper hype, the stadium was packed to capacity, with the Brazilian President Getúlio Vargas and Vice-President João Café Filho both in attendance. Also in attendance was renowned Japanese writer Michiharu Mishima, who flew over to watch the bout. The students of the Gracie Academy were unsurprisingly hostile to Kimura, bringing with them a Coffin to symbolise his defeat, much like Kato’s. During his walk out Kimura was also pelted by a barrage of eggs and insults from the students. The first round started with a head clinch, with Helio looking for a number of throws, such as an osoto gari, kouchi gari, but Kimura being the better judo practitioner blocked them and starting scoring multiple take downs on Gracie. Helio was hit was a barrage of throws, such as the ouchi gari, uchi mata, harai goshi and ippon seo nage. However, as the mats were the same mats used in the kato fight, Helio was able to use the soft mats to absorb the impact. Towards the end of the round the Japanese judoka followed Helio to the ground and started to work on his newaza, pinning him in various positions until settlings on the Kesa-Gatame. During transition and the yoko-sankaku-jime (Inverted Triangle) Gracie lost consiousness, without Kimura noticing. Helio woke up when the hold was released during transition. It was only when Kimura noticed Gracie bleeding from his ear that he asked if he was okay. Helio nodded and the two continued until the end of the round. Between rounds Kimura discussed with his cornerman Hikaru Kurachi about how he used the first round time to punish Gracie and how he was putting on a show of dominance for his and Kato’s supporters. He mentioned that he decdied to grapple on the ground with gracie in the last few minutes of the round in order to test his ground game, and that the second round would see him finish the match. Kimura mentioned in his autobiography about how he wanted to knock Helio out with a throw, however his game plan needed to change due to the softness of the mats. During the second round, Helio came forward with a tomoe nage attempt, only to have it again blocked by Kimura. Helio hit the ground with kimura’s trademark osoto gari and this time, he was pinned for several minutes in kuzure-kami-shiho-gatame (North/South position). Kimura held him there until eventually moving his weight across to Helio’s head, causing him to attempt to escape due to being suffocated. Helio pushed with his arms and Kimura seized the opportunity, isolating Helio’s far on and sank in the double wrist lock. Refusing the submit the Kimura, Helio resisted the submission, that’s when the Judoka readjusted and broke Gracie’s arm. Still refusing to tap Kimura continued to rotate Helio’s arm until it broke a second time. Finally on a third attempt, it was Helio’s brother Carlos Gracie who ended the fight by throwing in the towel. He then entered the ring, tapped Kimura on the back three times to signal that he had submitted, and Masahiko Kimura was declared the winner. The ring was then flooded with Japanese fans, who raised Kimura high on their shoulders and tossed him into the air during the celebration. Meanwhile, Helio was helped out of the ring by his brother Carlos to help tend to his arm. Ultimates the match was very well received by the media, many of which focused on ho easily Kimura had finished Gracie, on they focused on how valiantly Helio had faced such as strong and formidable opponent. Headlines included “Vitória Fácil de Kimura” (Easy Victory For Kimura), or “13 Minutos de Intensa Emoção” (13 minutes of intense emotion. Very few papers sided with the Gracie family, with at least one mentioning that was as a morale victory for Helio Gracie, an opinion shared by the family also, with Helio himself claiming he was a world champion after the match, even though he lost. On the other side of it Kimura said himself that he was dissapointed with how Gracie fought the match so defensively and by his inability to fight by the Kodokan rules of Judo. However, he did praise Helio’s fighting spirit and offered him a rematch, this time in Japan. This went unanswered. After their tour of South America, Kimura, Kato and Yamaguchi returned to Japan and founded Kokusai Profession Wrestling, in order to allow them to continue to wrestling professionally. Meanwhile Helio healed up and decided to retire from competition as him and his brother Carlos continued to teach. However, a year later he would and meet challenges from Yasuichi Ono and Augusto Cordeiro. 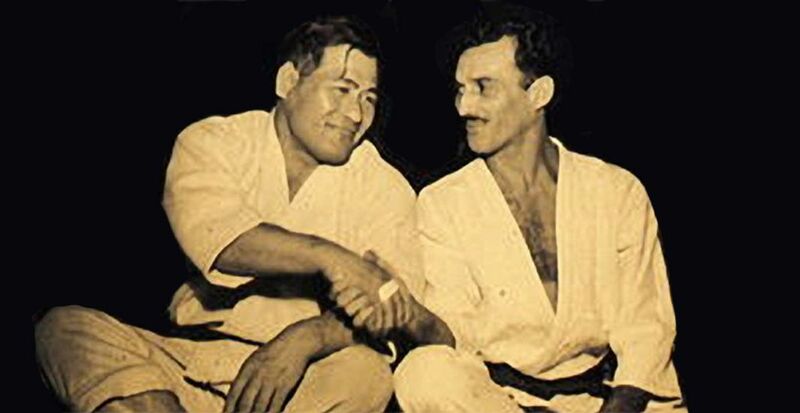 As a tribute to Kimura’s victory and the double wrist lock (or gyaku-ude-garami) used to defeat Helio was named the “Kimuriana” by various sports writers documenting his second tour of South America in 1959. The name was eventually shortened to the name we know well the “Kimura”, which is now the common name for this submission in Brazilian Jiu-Jitsu and Mixed Martial Arts. The Kimura submission is probably one of the most versatile and dangerous submissions in Brazilian Jiu-Jitsu. 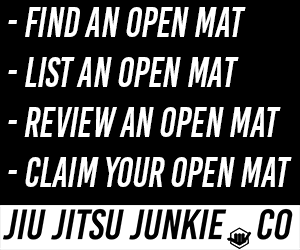 How can catch it from just about every position and it can strike fear into the hearts of any seasoned grappler. Here we will talk about how you can catch it from a few standard positions, but first let’s get the fundamental mechanics down. To execute a Kimura there are a few things that need to happen, while it can be caught from numerous positions the aspect of the lock is fundamentally the same. First you need to attack your opponent’s wrist, normally with the opposite arm, i.e your left arm attacking your opponent’s right arm and visa vera. Next you need to bend the arm and elbow have the hand and wrist pointing towards the hips. Ideally your opponent’s elbow should be bent at 90 degrees. Your free arm comes underneath the bicep of your opponent and connects to your own wrist (double wrist lock name). To reinforce this, grip with a monkey grip to keep the weak thumb out of the equation. With your arms in a figure 4 configuration, start to rotate the hand and wrist towards the shoulder. The resulting pressure will cause your opponent to tap. Here we will look at how you can perform a Kimura Lock from closed guard. Developed by Ricardo Teixeira Black Belt David Avellan in 2012, the Kimura trap has become a fundamental part of any Jiu-Jitsu practitioner’s gameplan. It is designed with the Kimura lock in mind, to allow you to attack from anywhere you want. Since the Kimura is such a dominant and controlling position. If you would like to learn more about the Kimura Trap System, I would recommend purchasing Marcelo Cohen’s Roosterweight Kimura System. Which is a fantastic look at how the Kimura Trap can be used to setup and manipulate your opponent. Plus if you enter the code ATBK10 you will get 10% off your purchase.